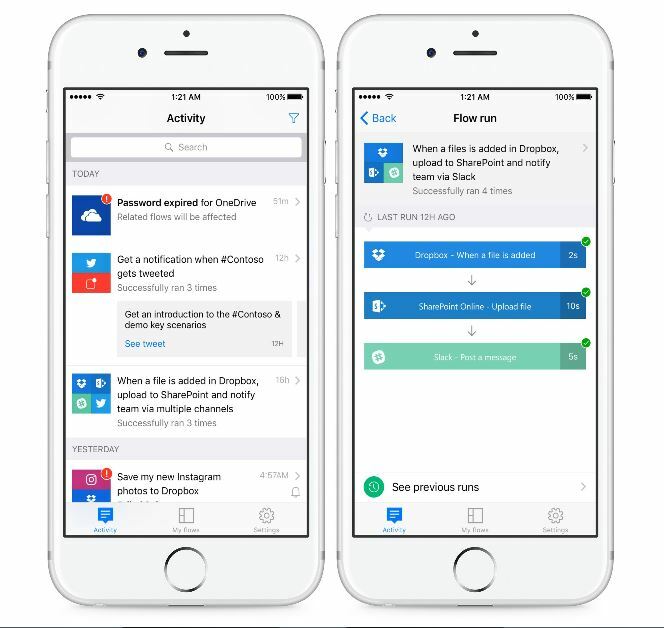 Microsoft Flow app launches on iPhone. Microsoft today announced the availability of Flow app for iPhone. Flow is a new service from Microsoft that makes it simple to mash up two or more Microsoft or public software services. You can use the Microsoft Flow app to monitor your automated flow runs.